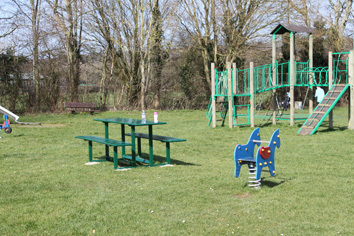 Bucknell’s Meadow Recreation Ground is situated close to the River Thames in Purley, and can be accessed from Mapledurham Drive, via Purley Village, New Hill or Wintringham Way. There is no car parking on site, so it is advisable to walk from the village. 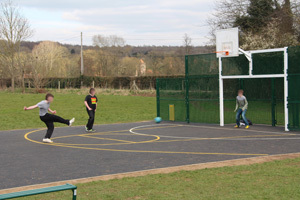 Bucknell’s Meadow has a full-sized ‘casual’ football pitch, a young children’s play area, an outdoor gym for ages from 10+, and an all-weather ball play area with a multi-sport goal end. 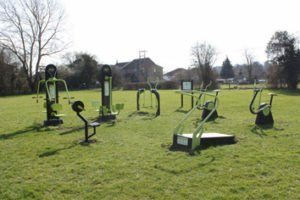 Bucknell’s Meadow is primarily intended for casual sports and leisure and is in a great setting within the Thames Area of Outstanding Natural Beauty (AONB). Please use the Booking Form or contact the Amenities Officer at the Parish Office via email or directly (during public office hours).